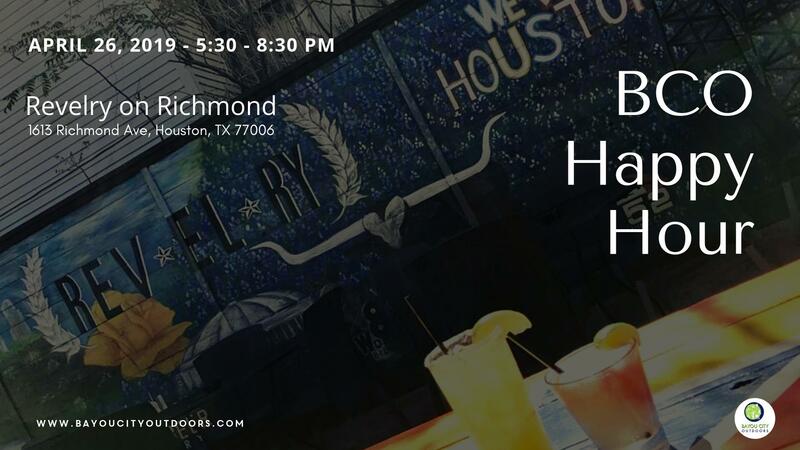 This month, BCO’s Happy Hour is at Revelry on Richmond! Revelry is fast becoming one of our favorite haunts! Great patio, space inside and libations. Done! Nestled in the heart of Houston’s Museum District. It’s casual, and the way to wrap up the week and start the weekend with good friends at a cool little spot with great food, full bar! This BCO event is open to everyone (except cats, they just aren’t social enough:)! Bring your friends and come early, drop in or stay until close, but whatever you do – join us! You'll get the inside scoop on upcoming events. Parking is in the lot and on the surrounding streets. You might have to look a bit, but there is parking! Don’t miss the Houston outdoor social club’s monthly meeting for epic adventurers!